Upcoming Server Maintenance, expect about an hour downtime!! 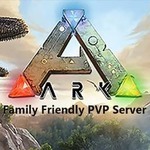 Later tonight or early tomorrow morning all ARKFam.com servers will be coming down for a server and hardware update. We will be needing to clone our SSD so the downtime will be approximately an hour. We will post status reports on the website as we progress. We will be upgrading our SSD to a larger capacity SSD designed to run 24/7 with heavier loads and with almost double the write and read rates of our current SSD. If there are no complications, not only will be set for any future cluster expansions but our current servers should also run a little smoother. Stay tuned for more info. Seems the delivery of our SSD was delayed until Monday, so the server update will most likely not happen until sometime Monday. We received the new SSD today and plan on moving forward with our hardware upgrade sometime tonight. We will announce a 5min warning in game. Servers are going down for maintenance, we will have them back up as soon as possible. We are expecting a hour of downtime but it could be less or more, we really do not know at this time. We are going to back up our save files on an external drive before we attempt to clone the main SSD. So this is going to add another hour or two. We don't expect the server to come back up until after 5am central. Stay tuned for more info as it becomes available. So far the cloning process is going well but a lot slower than we thought. At the current rate we should have the servers back up around 6am central.